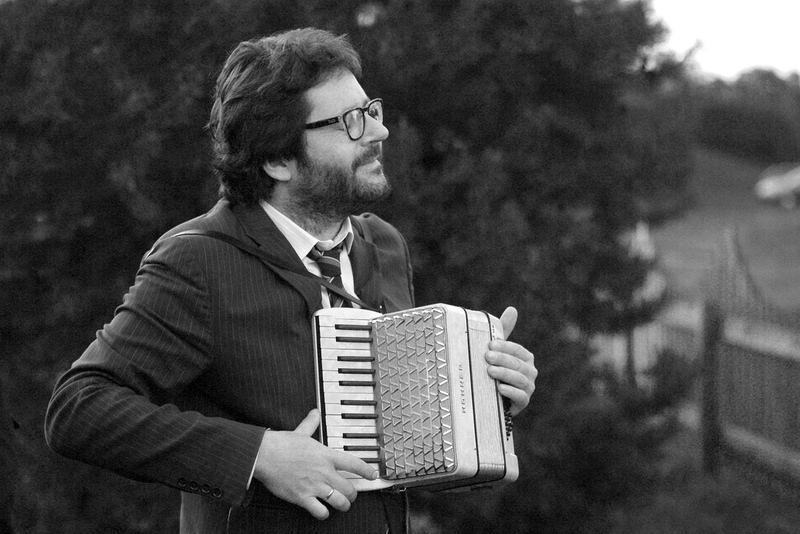 If Krakow had a musical ambassador to the world, it would be Grzegorz Turnau. Anyone possessing even a passing familiarity with Polish popular music of the past two decades certainly knows (at least) a handful of his songs. “Miedzy Cisza A Cisza” (“Between Silence and Silence”) and the ubiquitous “Bracka” (which immortalized the local street of the same name) are just two that have become cultural touchstones, known by Poles of all ages, the world over. In fact, it’s not an exaggeration to say that, from the debut album Napradę nie dzieje się nic (Really Nothing is Happening) 25 years ago to his most recent work, the ambitious 7 Widoków w drodze do Krakowa (Seven Views on the Way to Krakow), his music is the living embodiment of this city. Over the course of a quarter century and a dozen studio albums (as well as several compilations and live collections), he has brilliantly combined the pop jazziness of Steely Dan, the melodic sensibilities of Paul McCartney, and the theatricality and lyricism of that uniquely Polish genre known as Sung Poetry (or Poetry Song, if you prefer), in many different instrumental settings from solo piano to rock band to symphony orchestra, to create something completely his own. After leaving university (“they informed me that my services were no longer required,” he joked to an audience at the recent al fresco Scena przy Pompie concert outside Teatr Juliusza Słowackiego a few weeks ago), he became one of the last great artists to come out of the Piwnica Pod Baranami cabaret, learning from and playing alongside legendary master musicians, poets, and storytellers like Jan Kanty Pawluśkiewicz and Marek Grechuta. 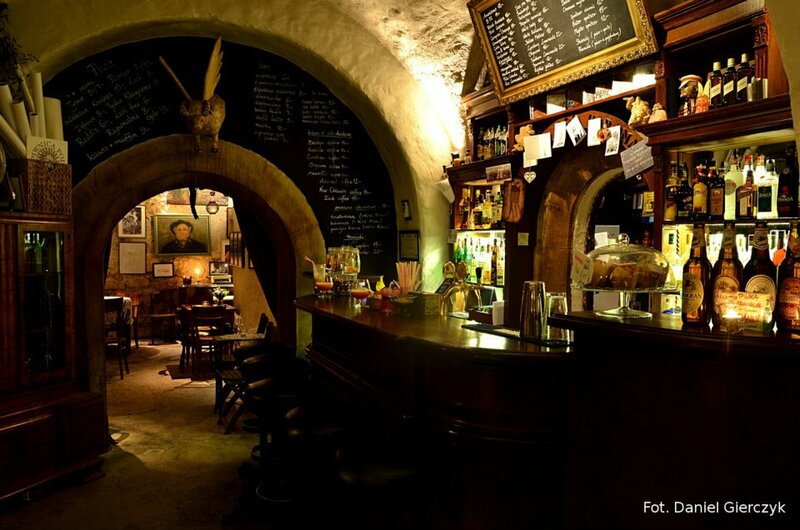 The history of this famous Krakow club and its influence during the communist era is a fascinating tale in itself. Piwnica Pod Baranami was the epicenter for a kind of Polish equivalent of New York’s Greenwich Village scene in the early 1960s that gave birth to Bob Dylan, Phil Ochs, and a completely new style of folk music. Like that American counterpart, the artists who thrived at Baranami took the indigenous folk of their culture and synthesized it into something completely modern and never heard before. The club is still there (Rynek 27), still has an active cabaret and hosts performances by many guest artists, and you should by all means visit it, but from the late 1950s until the fall of the Soviet empire, it was THE Bohemian enclave for artists, musicians, poets, and nonconformists, in a time when nonconformity was a very dangerous thing indeed. Turnau still carries the ethos of those days with him, routinely adding a few Grechuta songs to his concerts and talking affectionately about him both onstage and off (more of which will be included in future pieces about both Piwnica Pod Baranami and Grechuta’s legacy), but crucially, he has never allowed nostalgia to drive his career, always forging ahead. The Seven Views On The Way To Krakow album, perhaps his most ambitious work to date, is absolute proof that he remains a vital creative force. From concept to execution, the story of the project’s inspiration is one of the most fascinating and original tales of an album’s genesis that you will ever hear. When friend (and oboe player) Mariusz Pędziałek began renovating his flat, he made an astounding find; underneath the layers of old paint and plaster were seven paintings, dating back nearly two centuries, detailing village life in various locales adjacent to Krakow. But whereas many people might have thought little of obliterating some old wall decorations in the name of modernizing their investment, Mariusz realized that he had stumbled across a treasure that represented something much more meaningful than just painted landscapes in an old flat. “They were probably painted around 1830. At that time, there was no Poland as a state, of course,” Turnau explains, “but Krakow had this special… it was one of the few places (perhaps the only place in the territory of former Poland) that preserved the spirit of the Polish Kings, of Polish tradition, of the historical values and so on. The Galician Autonomy was introduced in Krakow a little later, in 1860, but somehow the paintings seem to anticipate this kind of atmosphere. That ‘something’ has translated into something equally special in a musical sense. Even without the visuals that inspired the album, there is a sense of adventure, a kind of time-travelogue, if you will, that gives Seven Views on the Way to Krakow a very unique magic, while still clearly bearing the unmistakable stamp of Mr. Turnau’s superior melodic sense and singular compositional skill. But getting the piece from concept to fruition wasn’t always an easy ride, and it wasn’t until the triumphant presentation in the Main Market Square last month that he had the opportunity to present the complete piece with full orchestration to the city that bears its name. “The premiere of the suite was on the 31st of May, 2014, in the Krakow Philharmonic Hall but it was not yet complete – it was about 2/3rds finished, I think. And then after the premiere, we wrote some more music and recorded the album. “And so, Bronisław wrote those pieces. It was very late. I was really scared. We might have had to cancel which would have been a scandal. But fortunately we made it and this process was surprisingly successful because it all came out quickly. I didn’t spend months and months on each and every detail of it – I just got the words and we worked straight on through and it was ready in perhaps two weeks. “Of course, the process had started many, many months before. Sometimes you have to think for a long time, and the actual act is short. It was very spontaneous.” The album itself was recorded in September of 2014, almost entirely live with orchestra, mostly at Alvernia Studios. That sense of the surreal is fitting when you consider the incredible, seemingly impossible sequence of events that led to its creation; the right person, with the right artistic temperament, renovating the one flat that happened to contain works of art that now appear to have been destined to inspire an artistic endeavor two centuries later. Call it fate, or call it a miracle, but when you consider the confluence of circumstances that had to conspire to create 7 widoków w drodze do Krakowa, the word ‘supernatural’ seems wildly insufficient to describe it. 2017 will be a very big year both personally and professionally, and accordingly, the projects in the works are special. “I’m going to turn 50 next year, and for all these years I’ve been singing all those Beatles songs, and Billy Joel, Sting – you know, my favorites – just for me and my friends. And once in a while, I drop one or two songs into a show with my songs, and people seem to like this kind of variation. Also scheduled for 2017 is a deluxe 2 CD/2 DVD box set, encompassing his entire career. Besides the usual hits and album tracks, it will feature many previously unreleased studio outtakes, radio sessions, live recordings, and a complete film of one of the Seven Views… concerts, with orchestra. Turnau is keen to not duplicate previous compilations, and is personally involved in the selection process. As if that’s not enough, he’s also been named the new musical director of Warsaw’s famous puppet theater, Teatr Lalka, and is currently composing music for a production of Hans Christian Andersen’s The Tinderbox, premiering in October, which brings together his first love as a child with his lifelong vocation. “Even before the music, I always loved the puppet theater,” he enthuses. At first glance, that may seem an odd fit, but there is a sense of wonder that runs throughout Mr. Turnau’s work that make it perfect. When I ask him if he has a favorite of all his albums, he chooses Księżyc w misce (The Moon in the Bowl), a quasi-children’s record. He is also one of the most humble musicians I have ever interviewed, so the choice comes with several caveats. “Not that I would want to choose one album because all of them have weak moments – things that should be done again. But of course, you can’t do that so let’s not talk about it. But Księżyc w misce was recorded for a series of theatrical musical plays and it was meant for children, but not exactly for children – for people who like to go back to their fairytale world of childhood. So far this year, Turnau has performed with a rock quintet (in March at Klub Studio for his annual name day concert), in the Rynek with full orchestra, and most recently in duo format (with acclaimed sax player Leszek Szczerba) a few weeks ago for Scena przy Pompie, something he’s done for all 17 consecutive years of that festival. His songs translate easily into many different arrangements, often revealing a contrasting character with each, and Turnau himself has no problem adapting both his exemplary piano and vocal skills to the myriad musical settings. Ever the true musician, he calls the stripped-down duo performance “a good way of testing one’s ability to draw attention to words and music without the ‘big stage’ stuff, if you know what I mean. After over 30 years of performing in various circumstances I consider this to be an obligatory test from time to time. If you pass it, you may go on with bigger venues,” he says with a smile. Of course, his ability to ‘pass’ was never in question, but his attitude is a refreshing one in a world where some of music’s most popular artists get paid a fortune to literally stand onstage pressing ‘play’ on a laptop to trigger prerecorded tracks with no human involvement whatsoever. In that sense, Grzegorz Turnau is an anachronism, cut from the same cloth as not only the aforementioned giants who influenced him, but people like Todd Rundgren, Joe Jackson, and Nick Cave – true artists who always dare to follow their muse regardless of commercial consequences, always changing yet never losing the spark that makes them original. Perhaps that is yet another way in which he embodies the spirit of Krakow: this is a city that moves of its own volition at its own pace, aware of changes in the outside world yet never a slave to its trends, cognizant of history without being a prisoner to nostalgia. 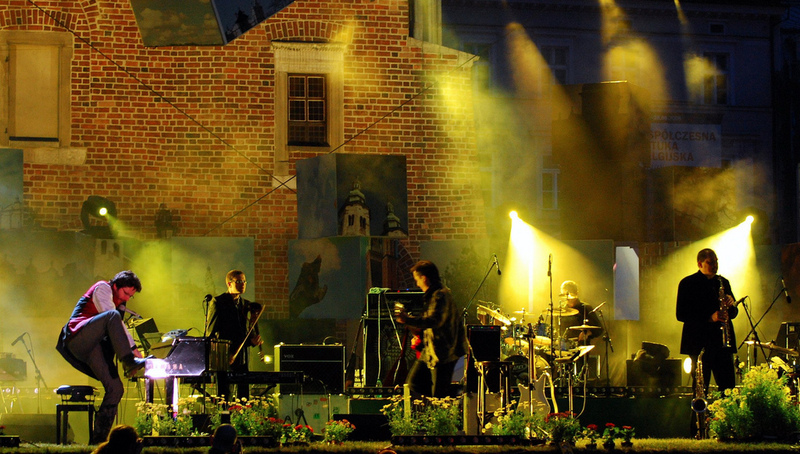 Turnau’s music, like Krakow, is timeless. He’ll be performing with a full band on the Rynek Podgórski on Monday 25th July at 19:00, and if you happen to be in town, it will undoubtedly be worth braving the hordes of arriving World Youth Day refugees to attend. And, just in case you’re wondering, this isn’t any kind of religious show – he’ll be performing songs from his vast repertoire, as usual. An abridged version of this article appears in the July 2016 print edition of The Krakow Post.